SCSECS invites proposals for papers or panels for our 2019 annual meeting. This year's conference will be held in Dallas, Texas, 21-23 February, at the Magnolia Hotel. 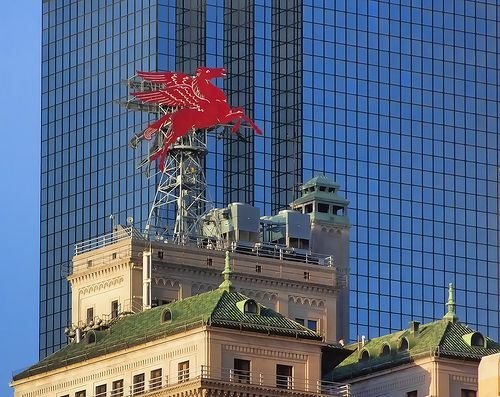 Nestled in the heart of Downtown Dallas, this beautiful beaux-arts building--once home to the executive offices of the Magnolia (which later became Mobil) Petroleum Company--provides easy access on foot or by public transportation to many of Dallas’s cultural and historic destinations, including the Dallas Arts District, the Sixth Floor Museum at Dealy Plaza, and Dallas Heritage Village. Live music and good food are also a short walk away. The Magnolia’s location, just two blocks from Akard Station, means travelers can use the DART rail to travel to and from either Love Field or DFW Airport for $2.50 if they prefer to avoid the expense of a taxi or shuttle service. To lock in this year’s conference rate of $159/night, book your room by January 31, 2019 using the SCSECS reservation website. Events will commence Thursday evening with a welcome reception featuring food, drinks, and live music. Sessions will run on Friday and Saturday, and we’ll close with a farewell banquet and plenary session on Saturday evening in the spectacular Pegasus Room. This year's theme is The Eighteenth Century in Perspective, considered in its broadest sense, although we welcome papers addressing any aspect of the long eighteenth century. We encourage submissions from all disciplines. In addition to considering how "perspective" functioned in the eighteenth-century imagination--in literature, politics, science, philosophy, and the arts--proposals might also address this theme in light of our disciplinary practices and approaches to the study of eighteenth-century society and culture. Submit proposals for panels by September 30 to conference co-organizer Ashley Bender at abender@twu.edu. The deadline for abstracts proposing individual paper submissions is December 15. Below is a list of proposed panels. If none of them fits your topic, send your abstract directly to Ashley Bender at abender@twu.edu. Otherwise, you may contact the appropriate panel chair at the e-mail address provided. “Perspectives on Eighteenth-Century Theater and Performance,” Dr. Ashley Bender, Texas Woman's University, abender@twu.edu. “Approaches to Overlooked Texts,” Dr. Mimi Gladstein, University of Texas at El Paso, mgladstein@utep.edu. “City Scenes, Urban Spaces, and the Civic Mind,” Ann L. von Mehren, Bowling Green State University, avonmeh@bgsu.edu. “Deleted Material: What Happened to, What I did with, or what Could be Done with Cut Passages,” Dr. Kevin L. Cope, Louisiana State University, encope@lsu. “Earth, Environment, and Anthropocene in the Eighteenth Century,” Dr. Samara Cahill, Nanyang Technological University, SACAHILL@ntu.edu.sg. “Perspectives on Eighteenth-Century Female Rhetorical Performance,” Dr. Elizabeth Tasker Davis, Stephen F. Austin University, taskerea@sfasu.edu. “On Presence, Rhetorical and Divine: Reading the Wor(l)d of God,” Dr. Brian Fehler, Texas Woman’s University, bfehler@twu.edu. “Religious Perspectives and Perspectives on Religion in the Long Eighteenth Century,” Dr. Brett McInelly, Brigham Young University, brett_mcinelly@byu.edu. “Interdisciplinary Approaches to the Long Eighteenth Century,” Dr. Kathryn Duncan, St. Leo University, kathryn.duncan@saintleo.edu. “The Enlightenment in Literature and the Arts: Light, Darkness, and Truth,” Dr. Stacey Jocoy, Texas Tech University, stacey.jocoy@ttu.edu. “Human Subjects in History and Literature, 1690–1820,” Dr. Victoria Warren, Binghamton University, bi90144@binghamton.edu. “The Long Reach of the Long Eighteenth Century: Long Eighteenth Century Influences on Later Literature,” Dr. Janet Wolf, Janet.Wolf@cortland.edu. “(Self) Portraiture in the Eighteenth Century,” Dr. Aria Cabot, Southern Methodist University, acabot@smu.edu. Note: This panel will explore perspectives on self-representation in the long eighteenth century. Topics may include: literary portraiture in prose and verse, paratextual or intertextual representations of artists, life-writing, caricatures, commissions, and representations of class, gender, race, celebrity/fame, or nation in self-portraiture. “East Meets West in the Eighteenth Century,” Susan Spencer, University of Central Oklahoma, sspencer@uco.edu. Note: This topic may be applied in any number of ways: one might think of westward expansion, multicultural competition and collaboration as fostered by Britain's Royal Society and France's Académie des sciences, politics and the East India Companies, the rise of Orientalism and chinoiserie in art, or the rise of the Grub Street authors of East London to overtake their aristocratic counterparts on the West side of town. “Romantic Perspectives on the 18th Century,” Michael Cerliano, Texas Woman's University, mcerliano@twu.edu. Note: subjects may include, but are not limited to, nostalgia for the 18th century in Romantic poetry and prose; the role and importance of historical and cultural memory in Romantic literature, particularly as it relates to the long 18th century; personal memoirs of the era; Romantic historiography; or any other consideration of the ways that Romantic writers engaged with the legacy of the Williamite and Georgian eras. “Reconceptualizing a Global Eighteenth Century,” Dr. Gretchen Busl, Texas Woman's University, gbusl@twu.edu. Note: By 1827, Goethe was already convinced that the time of national literature had come to an end, and that the epoch of Weltliteratur had begun. In his view, translation would allow literature to transcend the national and linguistic borders established over the course of the long 18th century. In hindsight, we might argue that national literatures only became further reified over the course of the 19th century, and Goethe’s ideal has yet to become a reality. How might we re-examine 18th century literature through contemporary notions of world literature (world systems theory, cosmopolitanism, etc.) in order to re-evaluate Goethe’s notion of Weltliteratur, as well as those same 21st-century notions? “The ‘Invisible’ Woman of the Eighteenth-Century,” Dr. Randy Phillis, Colorado Mesa University, rphillis@coloradomesa.edu. Note: We read much of the women fulfilling their tradition gender role in the culture of the Eighteenth-Century as manifest especially in history and literature, and perhaps even more about the women who challenged those roles and by extension the institutions that championed them. This panel seeks to broaden the critical conversation to include the “invisible” or “silent” women and characters who don’t necessarily fit the traditional role, yet challenge our perceptions of these roles in general by illustrating behaviors and characteristics that lie somewhere between the extremes and have largely gone unaddressed by contemporary criticism. In short, whom have we overlooked, and why should we be paying attention to females who refuse to be pigeonholed? “Negotiating Early American Identity: New World and Old World Perspectives,” Dr. Heather Robinson-Lauer, heather_lee22@hotmail.com. Note: In the early Americas, authors implemented rhetorical approaches, both written and oral, to negotiate their own identities in the New World. Combatting environmental, religious, and racial influences, the tension between maintaining a European sophistication and adopting a dominant identity in the Americas exposed itself in speeches, sermons, journals, narratives, and documents that were printed locally, in the New World, and, across waters, back to the Old World. This panel welcomes scholars who are interested in inquiring about the myriad ways early American and/or Euro-American writers sought to negotiate their complex places in the world, including economic, religious, social, gendered, environmental, and ethnic perspectives. Papers that are Early-American, in the traditional sense, are welcome, in addition to writing that takes a broader, more trans-atlantic approach. “Boundless: Exploring Infinite Space, Time, and Possibility in the Eighteenth Century,” Dr. Brian Tatum, Tarrant County College, brian.tatum@tccd.edu. 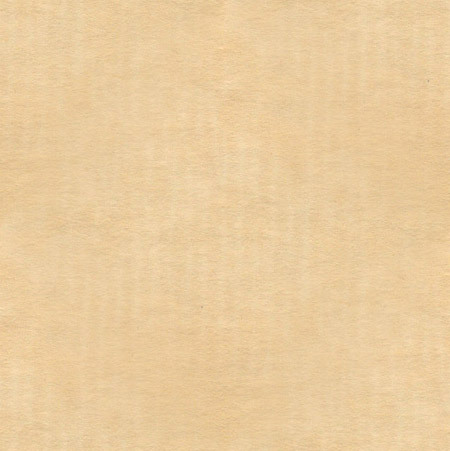 Note: During the eighteenth century, a growing number of philosophers began to describe the universe as spatially and temporally infinite. 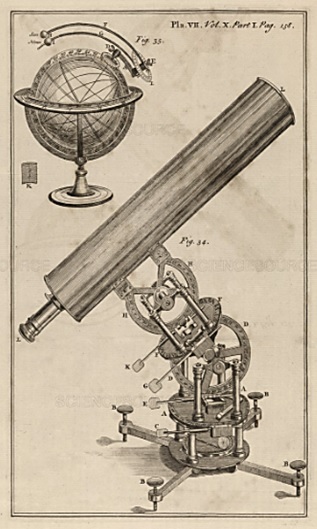 Perceiving the universe as the embodiment of God’s imagination, philosophers such as Edward Young, Thomas Wright, and Anna Barbauld all explore connections between the universe’s infinite expanse and limitless possibility. For instance, unexplored regions of the universe become the spaces not only for astronomers like Wright to argue that extraterrestrial beings might inhabit, but also for poets such as Barbauld to argue that social hierarchies might be rearranged. Furthermore, by connecting the mapping of space with the mapping of knowledge, these texts often locate both anxiety and optimism in the unknown. The purpose of this panel is to investigate the effects of removing spatial and temporal boundaries during the eighteenth century. The blurred disciplinary boundaries of this century often provide fertile ground for investigating epistemological and ontological instability. “The Eighteenth-Century Self,” Danielle Ezor and Kelsey Rozema, SMU, dezor@mail.smu.edu and krozema@mail.smu.edu. Note: The "rise of the individual" is often considered a hallmark of the Enlightenment. This notion traces back to René Descartes’s famous statement, “cogito ergo sum,” and John Locke’s Essay Concerning Human Understanding. However, the sheer amount of intellectual discourse on identity in the Enlightenment indicates that the perception of the self in the eighteenth century is more nuanced than the "rise of the individual" can express. What did it mean to be a person, a subject, or a self in the long eighteenth century? How was identity formed and performed? How was selfhood constructed and expressed outside of the European center? How were these differing notions of personhood formed, expressed, or critiqued in literature, politics, science, and the visual arts? This panel welcomes all papers that explore the eighteenth-century notion of self in relation but by no means limited to: race, gender, species, class, religion, ability, and profession. Interdisciplinary and intersectional papers are encouraged. “Hidden Gems from Fleet Street: New Perspectives on Non-Canonical and Popular Eighteenth-Century Literature,” Dr. Lindsay Emory Moore, University of Texas at Dallas, lindsayemorymoore@gmail.com. Note: Beginning with the pamphlet wars during the Restoration and ending with authors serving as critics to one anothers’ writings in the Romantic period, the eighteenth century was rife was debates about how to define and identify good literature. Authors such as John Dryden, Alexander Pope, Thomas Gray, William Wordsworth, and many others served as adjudicators of good literature by chastising others’ work in their prefaces, poetry, pamphlets, and mock epics. Theater history and book history however, tells us that some of the works of these dunces were widely popular and important in their own right—regardless of how derided they were by their peers. Colley Cibber, for instance, was not only the King of Dunces in Pope’s Dunciad IV, but a well-known actor and theater manager who wrote a genre-bending narrative of his own life that included a kind of manual for effective acting. The purpose of this panel is to interrogate the claims of the dominant writers of the day and re-examine poetry, novels, life histories, essays, plays, etc. that served as the butte of jokes and satires of the day and strive for a fresh perspective on these writings. In doing so, we can slough off the ideologies and prejudices that wrote the literary history of the eighteenth century. We’re excited to announce our two plenary speakers for the 2019 conference: Dr. Jacqueline Chao, curator of the Crow Museum of Asian Art, and our very own Dr. Phyllis Thompson, Director of Women’s Studies and Associate Professor of English at East Tennessee State University and a longtime member of the SCSECS Executive Board. 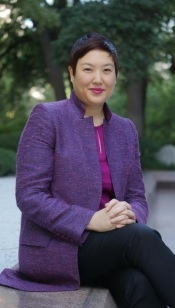 Jacqueline Chao is Curator of Asian Art at the Crow Museum of Asian Art. Her presentation on Friday will feature a discussion of art and artifacts from the Crow’s holdings. We will be able to view some of these artifacts in person during a private tour of the collections later that afternoon. Dr. Chao’s recently curated exhibitions include Invisible Cities: Moving Images Asia, Hidden Nature: Sopheap Pich, and Landscape Relativities: The Collaborative Works of Arnold Chang and Michael Cherney. She has curated and organized many exhibitions at the Crow, as well as at Phoenix Art Museum, ASU Art Museum, ASU Institute for Humanities Research, Chicago Artists Coalition, and the University of Toronto Art Centre, in the areas of ink painting, Tibetan sculpture, Japanese woodblock prints, and contemporary site-specific installation, photography and new media. She has authored and edited several articles, books and catalogs on Chinese art and Buddhist art, and has presented her research at Harvard University, University of Hawaii, University of Washington, and other universities, museums, academic conferences and symposia. She previously taught Asian Art History at the School of the Art Institute of Chicago, was Director of Exhibitions and Residencies at Chicago Artists Coalition, and contributed research to the Chinese painting collection at the Art Institute of Chicago. She holds an MA and PhD in Chinese Art History from Arizona State University, and a BA in Art History from the University of Toronto. In her plenary talk on Saturday, Phyllis Thompson will unpack our custodial responsibility as scholar-archivists to bear witness to the material and affective conditions of women’s lives in the eighteenth century. Using the recipe books, commonplaces, and journals of Sarah, the Duchess of Marlborough, as a concrete point of reference, she will challenge us to embrace not only the order and organization of archives and archival materials but also the untidy messiness we find there. Suggesting that it is often in the clutter, disarray, scraps and specks that we find testaments to experience, Dr. Thompson demonstrates that by opening our archival practices to include locating absence, valuing disorder, and surfacing affect we change our relationship to the archive in a way that can help us better bear witness to women’s lived experiences in the eighteenth century and to an expanded notion of archive and archival practice in the twenty-first. In conjunction with this presentation, we will have on display a selection of eighteenth-century cookbooks from the Texas Woman’s University Special Collections in a traveling exhibit curated by graduate students at TWU. Dr. Thompson earned her Ph.D. in eighteenth-century British literature and Gender Studies from Louisiana State University. She teaches graduate- and undergraduate-level courses on the eighteenth-century and women authors, archival studies, girls' studies, feminist pedagogies, and gender- based violence. She is the current president of the Southeastern Women’s Studies Association (2018- 2020), and active in NWSA through participation in PAD and as a reviewer for the national conference, a TIC trainer (2017 forward), Safe Zone trainer (2016 forward), founding member of the Johnson City Sexual Assault Task Force (2015 forward), member of the Washington County Family Justice Center Planning Team (2014-2016), keynote speaker and consultant for the Tennessee Economic Council on Women on The Economic Impact of Violence Against Women in Tennessee (2013-2014), and is past president of the South Central Society of Eighteenth-Century Studies (2012). Her scholarship emerges from her interests in women’s health, healing, and well-being; the eighteenth century; and archival studies and takes her up windy mountain roads and into dusty attics and modern archival repositories, where she examines women’s medicinal recipes, letterbooks, and diaries from the eighteenth century to discover what we might learn about daily life, reading and writing, healing women and their communities, and the archive itself from reading women’s unpublished life writing. Her book project, Kitchen Physik, examines women's contributions to family medicine and community healthcare in early eighteenth-century Britain, illuminates the ethics of care women fostered in rural communities, and showcases the ways in which 18th-century women’s work can provide a conduit to conceptualizations of the new archive. 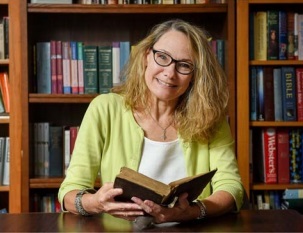 Dr. Thompson's work has appeared in Peitho: A Journal of the Coalition of Women Scholars in the History of Rhetoric & Composition, Aphra Behn Online, The ALAN Review, An Expanding Universe: The Project of Eighteenth-Century Studies (Essays in Honor of Jim Springer Borck), and other academic collections.